Foxconn told iPhone 5 comes June. 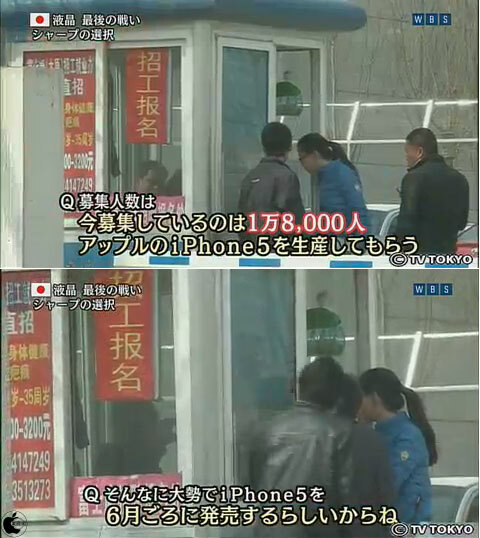 In Japanese major business news "World Business Satellite (WBS)" via TV-Tokyo had a program of "Launching the Rising-Sun Display company", Foxconn answered the reason for 18,000 hireling, "This (large hireling) is for iPhone 5 which will be sold in June". Interview scene starts 7'10" of following archive.